Just another beautiful day in Montreal. 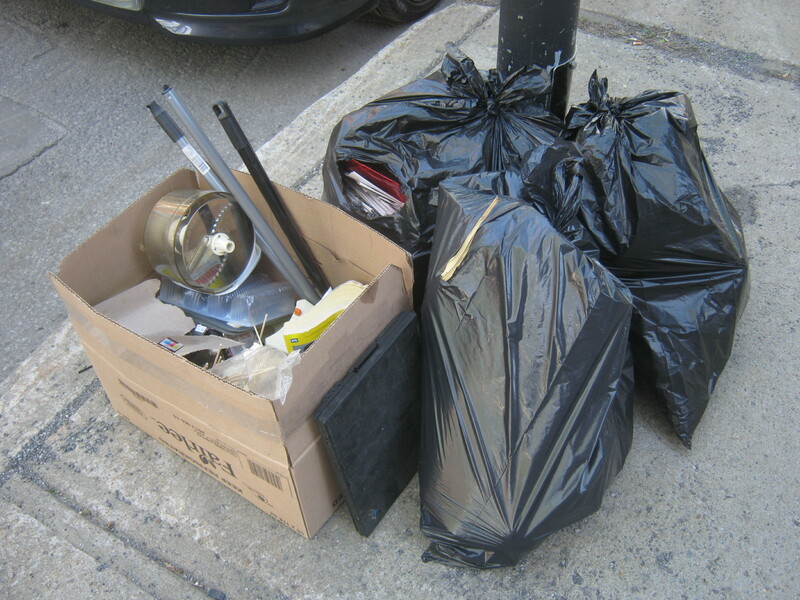 I made my way up to Villeray this morning to check out the trash. 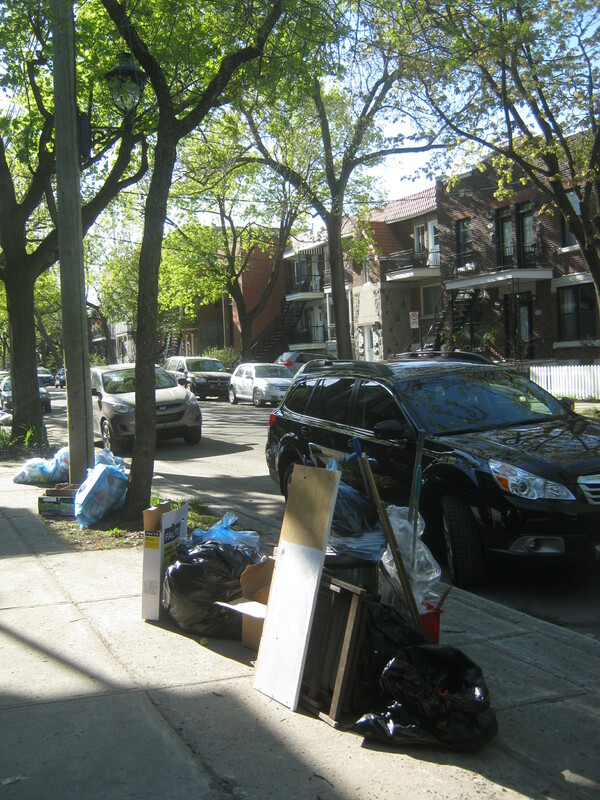 It’s about 12 minutes on bike just to get there – a bit further than the East Plateau / Hochelaga trash day that takes place at the same time – but it’s a nice neighbourhood and I feel like there’s some nice trash to be found. Here I came across an ancient laptop computer. I took it for some reason, and it’ll probably end up in the free box at my next yard sale. 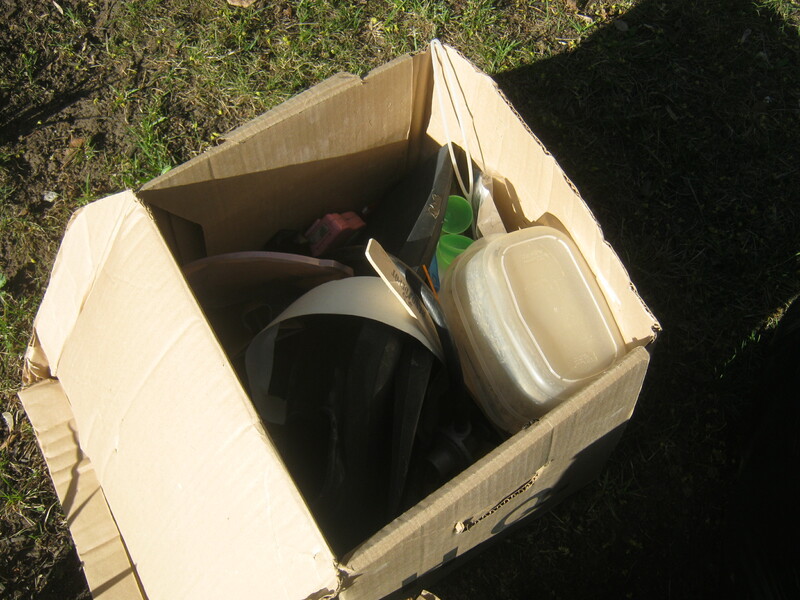 Inside this box was some very miscellaneous stuff, including a pair of SCUBA or snorkelling fins. 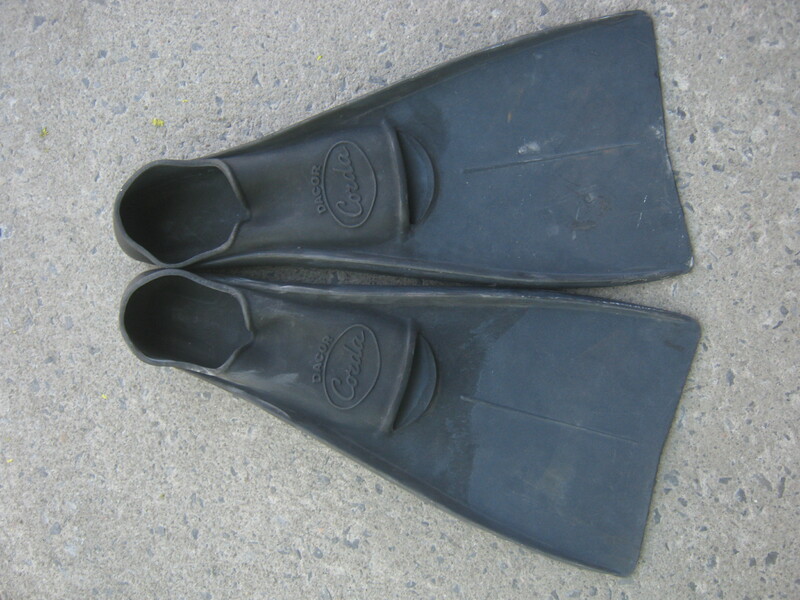 Some used ones sold for 5$ on Ebay but I’m better off just putting them in a future yard sale. 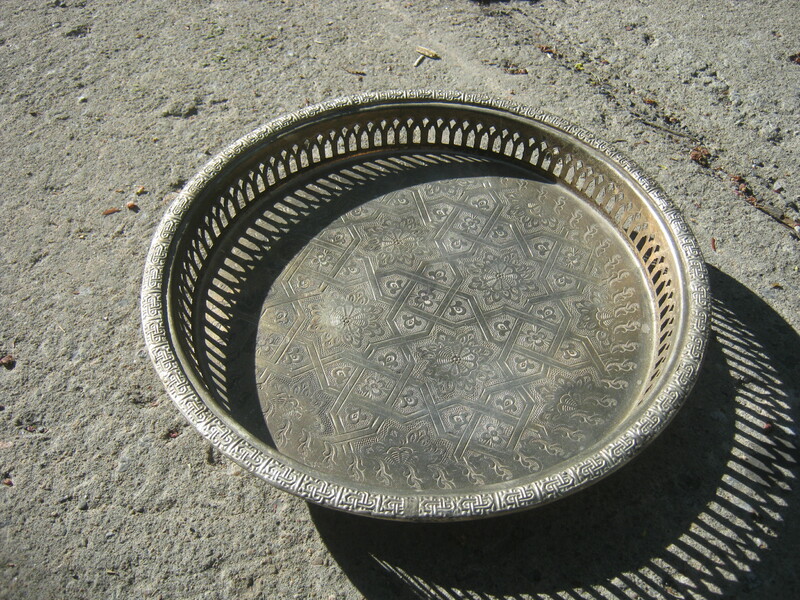 Finally, I found this gorgeous tray casually sitting at the bottom of a box amongst the above trash. It looks old and it’s likely silver plate. It also casts a nice shadow. It’s definitely Arabic in origin. 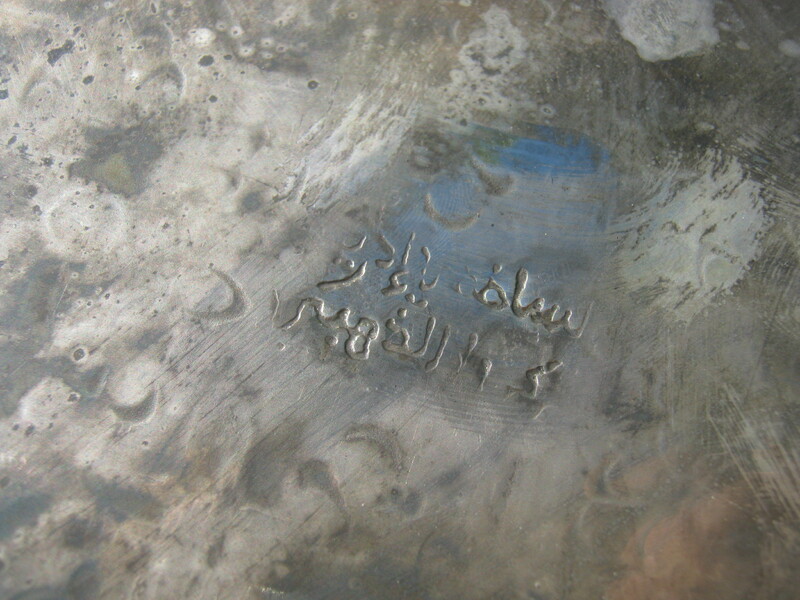 The bottom is inscribed with this mark which I have no hope of translating. If anyone knows what it means let me know! I’m definitely curious. Fantastic tray, and it is so cool that you got a translation for the mark!